These places are major tourists spots! 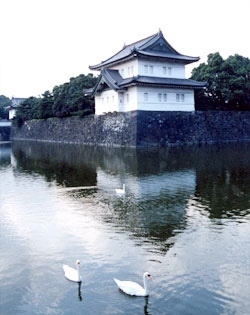 The Imperial Palace has been a home to the emperor and his family since 1868. The palace itself is closed to the public, but many visitors take photos in front of the most photogenic corner of “Nijubashi”, or double bridge. The East Garden is always beautiful with seasonal flowers. This is the tour which covers Imperial palace. Ginza, the “place where silver is minted”, which took its name after Shogun Tokugawa Ieyasu started making coins here in the early 17C. Ginza’s Chuo-dori is one of Tokyo’s most stylish shopping streets. 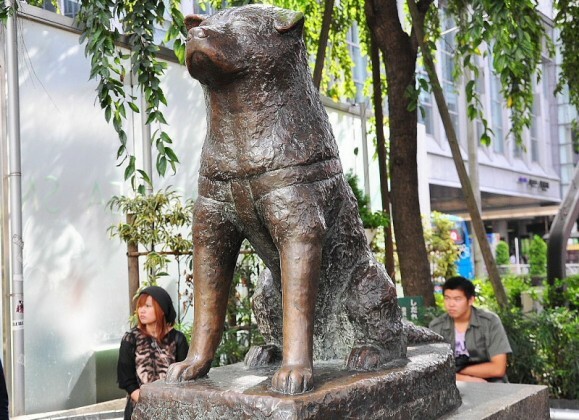 The landmark of Ginza is Ginza Yon-chome crossing, where Chuo-dori and Harumi-dori meet. This is the tour which covers Ginza. 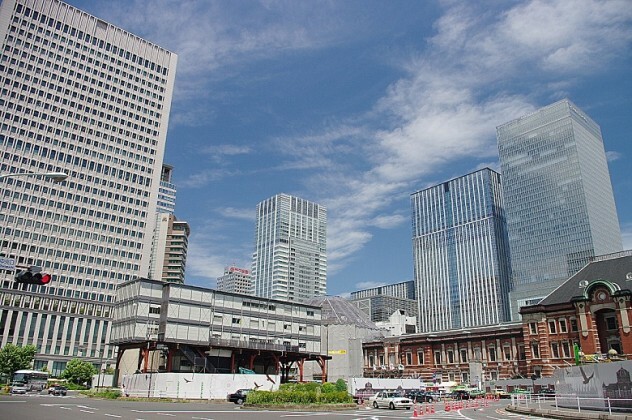 Marunouchi is an area between the Imperial Palace and Tokyo station. This recently redeveloped area might be the most sophisticated in Tokyo, and some call it “Madison Avenue in Japan”. 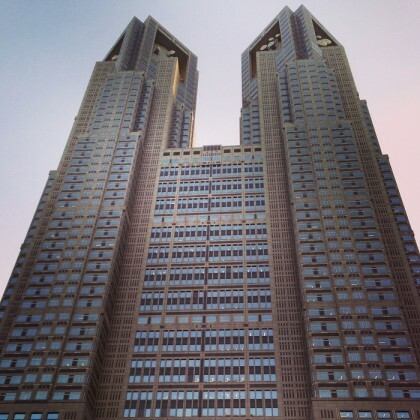 There have been many head office buildings of Japanese conglomerates. This is the tour which covers Marunouchi. 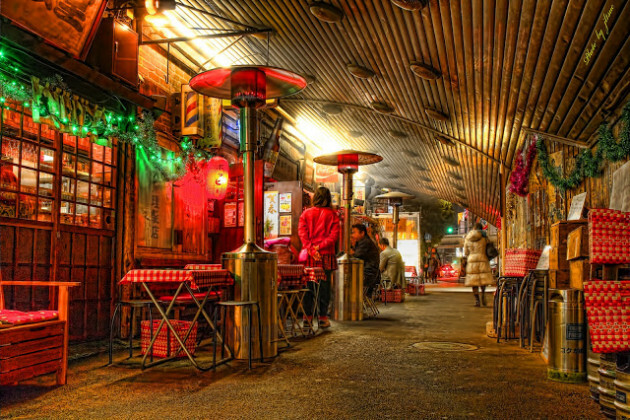 Under the overhead railway of JR line, small stalls serving grilled chicken and seafood gather and welcome you. This is “Yakitori Alley” in Yurakucho. It located just next to luxurious Ginza, still you can enjoy its cozy atmosphere. This is the tour which covers Yurakucho. 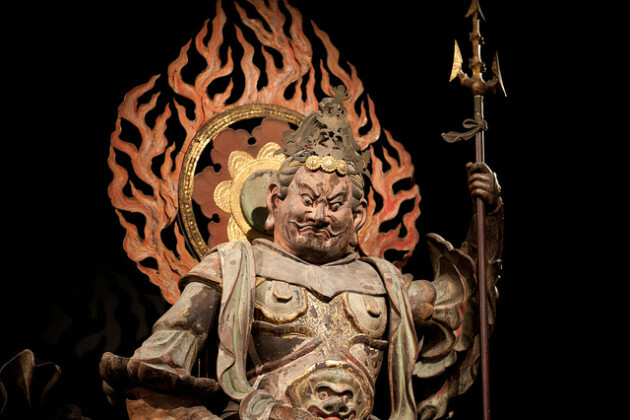 Edo is the old name of Tokyo, and in the Edo period (1603-1967), Tokugawa Shoguns governed the nation from Tokyo. You can understand how the town of Edo developed with dioramas and experience townspeople’s life in full scale mock-ups. 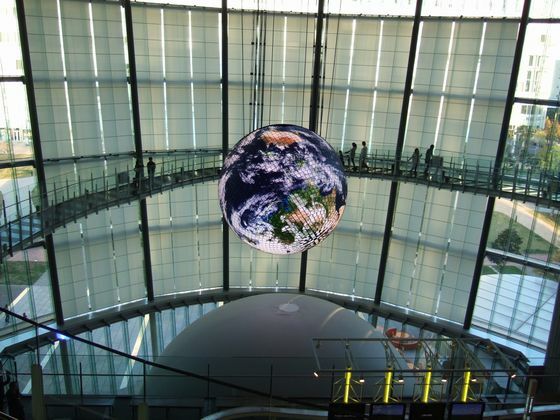 This is the tour which covers Edo Tokyo Museum. Sumida River is the largest river in Tokyo. At the end of July, Sumida River fireworks display has been held annually. You can enjoy the view of colorful bridges over the river by taking a river cruise toward Tokyo bay area. 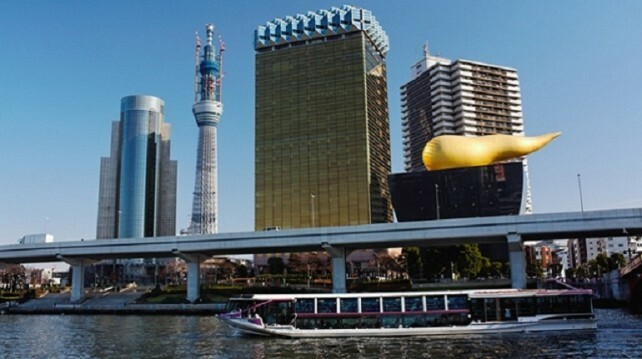 This is the tour which covers Sumida River Cruise. Hamarikyu literally means “detached palace on the shore”. 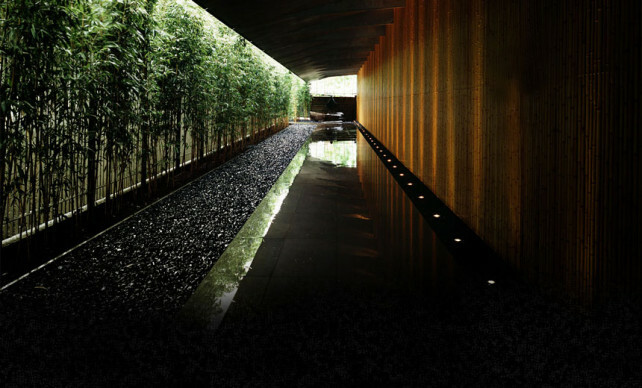 You must be surprised by the gap between its tranquil atmosphere and modern high-rise office buildings surrounding the garden. One feature of the typical feudal load garden is a tidal pond. You can enjoy Japanese traditional green tea and sweets at the teahouse on the pond. This is the tour which covers Hamarikyu Garden. Tsukiji literally means “reclaimed land”. Now it’s a byword of fish market. Tsukiji fish market, or “The Tokyo Central Wholesale Market” is the world’s largest fish market with a total surface area of 225,000 ㎡. You must be able to taste the freshest sushi here in the world! 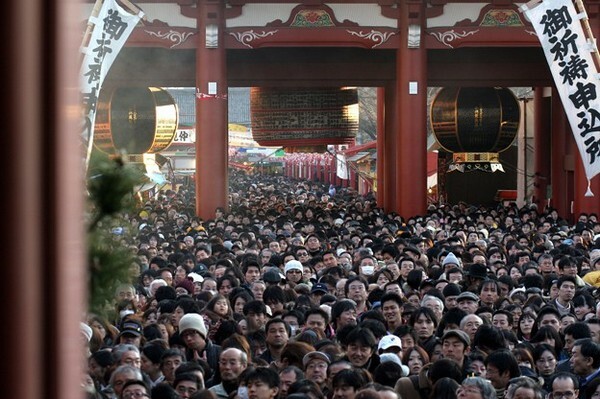 Tsuna auction is very famous for tourists! 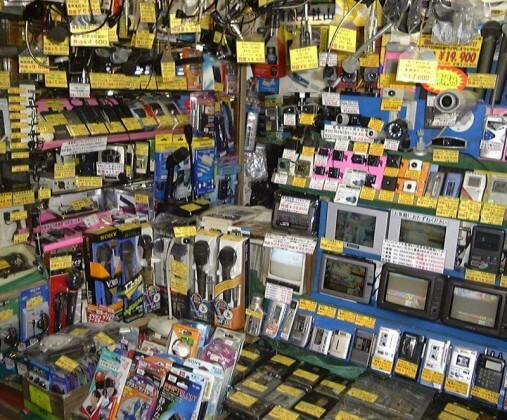 This is the tour which covers Tsuikiji fish market. Built in 1958, the broadcasting tower is 333m high. It has been a landmark of Tokyo, even after the completion of another tower, Tokyo Skytree. You can enjoy a view of the entire city of Tokyo from the 150m high observatory. This is the tour which covers Tokyo Tower. Exciting nightspots and the largest building complexes co-exist at Roppongi. Mori Art,Museum, The National Art Center Tokyo, and Suntry Museum attract many visitors with sophisticated and stylish taste. You can also enjoy scenic views from “Tokyo City View” observatory, the top-floor of Roppongi Hills. Aoyama is the long strip along both sides of Aoyama Street running from Omotesando to the detached palace in Akasaka. Many houses of fashion, boutiques and high class restaurants can be seen. The Nezu Museum is the most recommendable. This is our selecton of “Things to Do”. If you are looking for the private guide, let us know. We arrange the tour for you. We can pick you up in your hotel and drop off you at your hotel. Please let us know what you want to do & to go. Please give us your message through "Contact Now" below, and we'll keep you updated with the details! !